Improvised trips are (almost) always the best. December 20th, 2015, 6.12 in the morning. 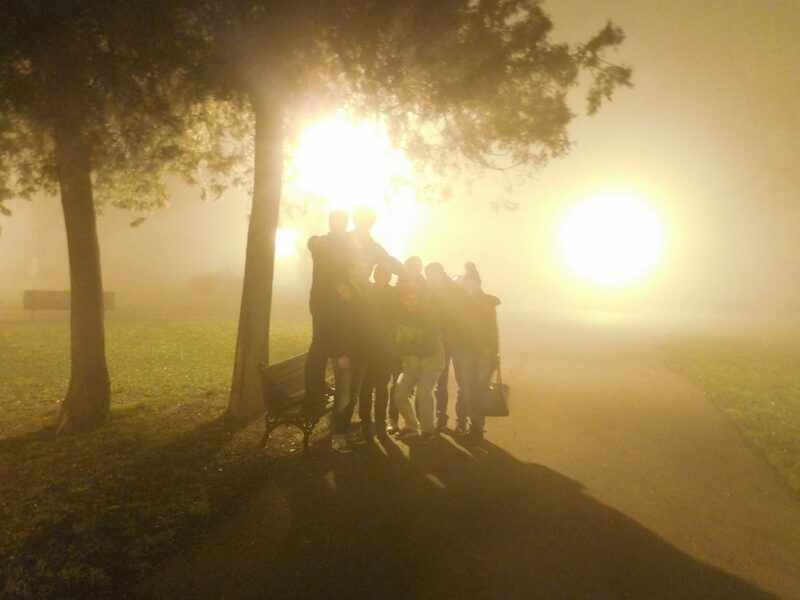 A group of six dudes and a gorgeous lady, packed up in a minivan and headed to Belgrade to meet two other guys who would arrive at the Nikola Tesla Airport (Аеродром Београд – Никола Тесла) on the following day. 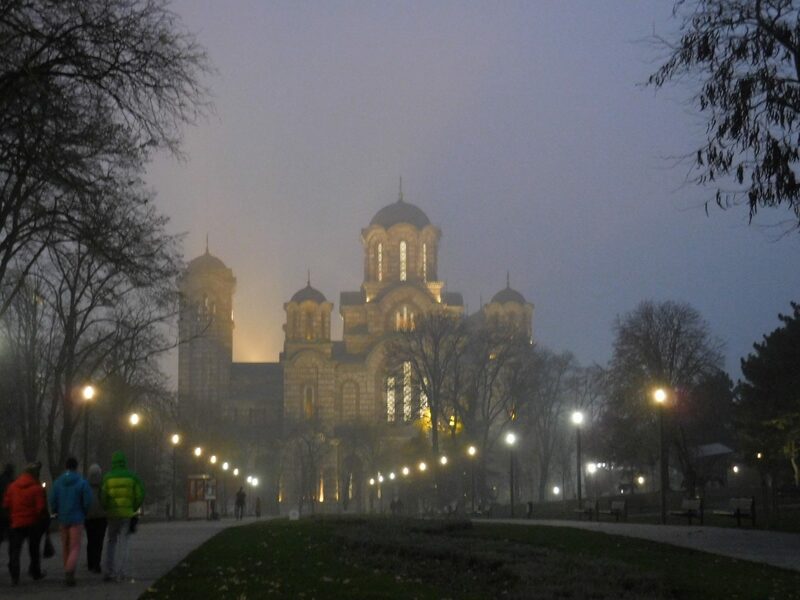 Sofia was foggy, but our group was more than ready for the 4 and ½ drive to the Serbian capital, which stands at around 450 km north-west of the Bulgarian one. Serbia was not very welcoming either as the fog seemed to have spread all over the Balkan Peninsula. We entered into Belgrade, and my brother tried to call a friend of Milan (the Serbian guy who is going to kindly host us in his apartment but is out of Serbia) who appeared to be still sleeping. 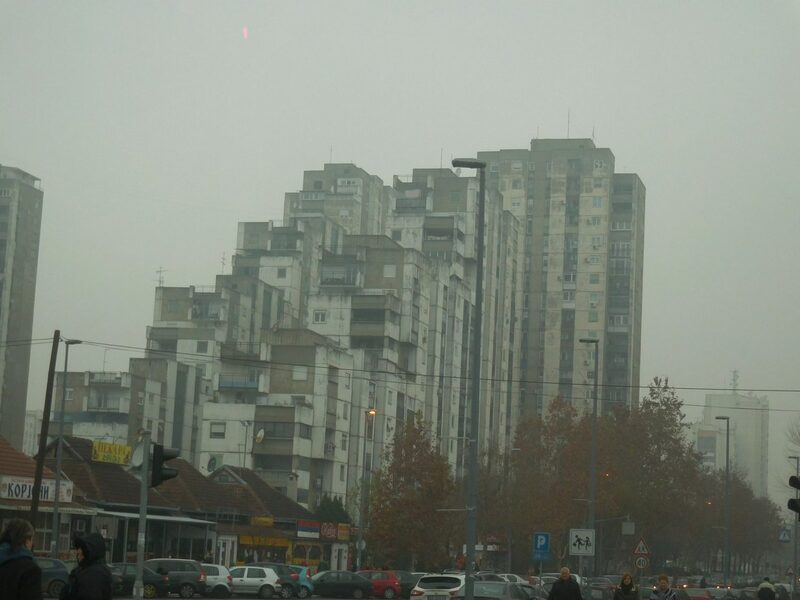 Nonetheless, we put the address of his building into the GPS and headed to Novi Beograd/Нови Београд (New Belgrade). While browsing through the photos, you will notice that some names are written in Latin and others – in Cyrillic. More information can be found in this article. New Belgrade surely has some awe-inspiring communist buildings. One may wonder why they are built in this terraced way. 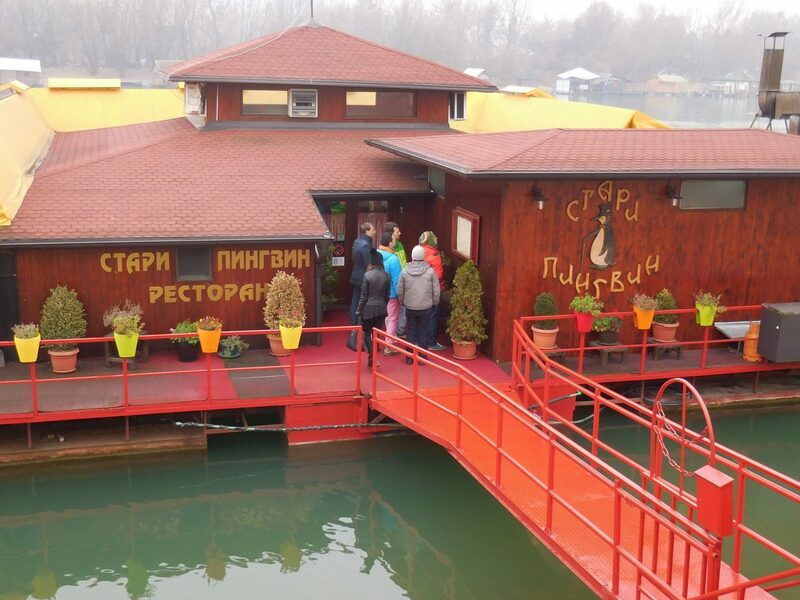 After we dropped our luggage (and the treats, among which a jar of lyutenitsa, we have brought for the host) in Milan’s apartment, we decided to take a stroll along the river Sava and find a nice place to munch on Serbian delicacies. 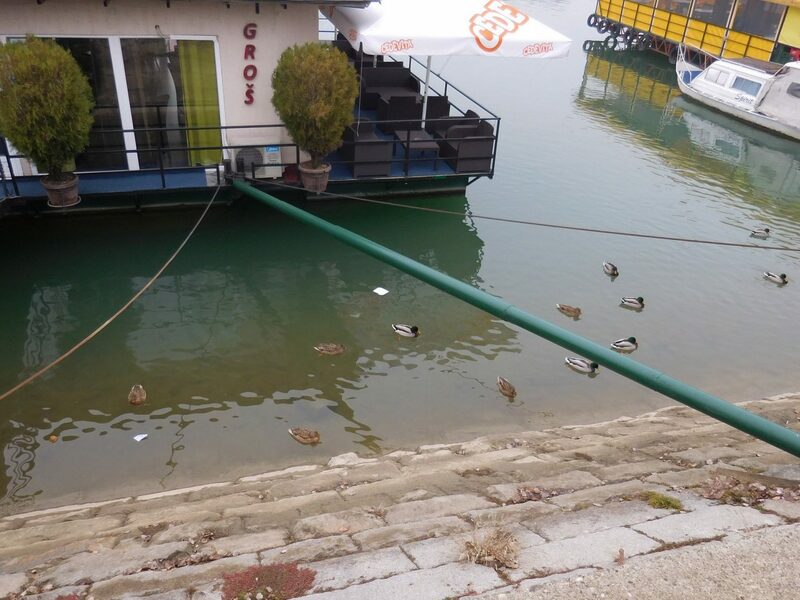 Belgrade, along the river Sava. Stari Pingvin Restaurant was our choice for lunch. After a glance at the menu of Стари пингвин (The Old Penguin), we quickly entered inside. 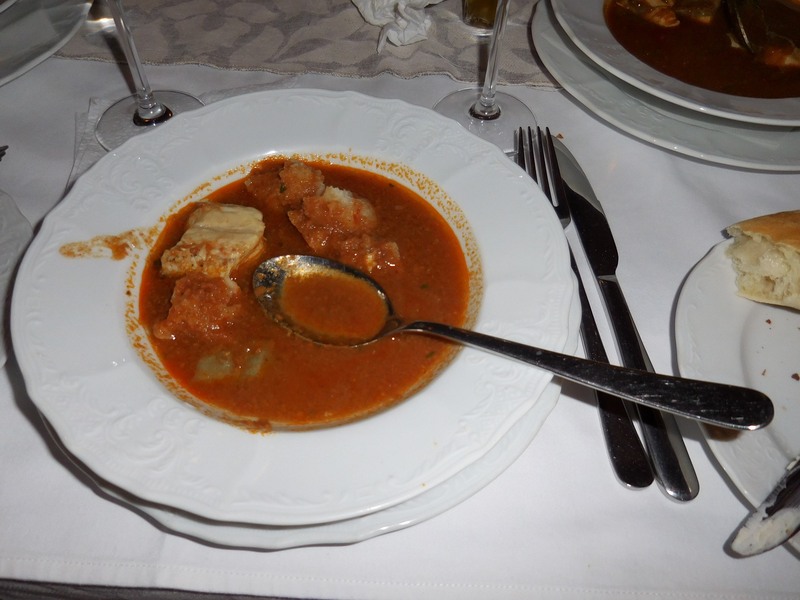 Since the restaurant is cosily nestled on the river, a fish soup is a must (at least for me). Another must-try is the Serbian pljeskavica. 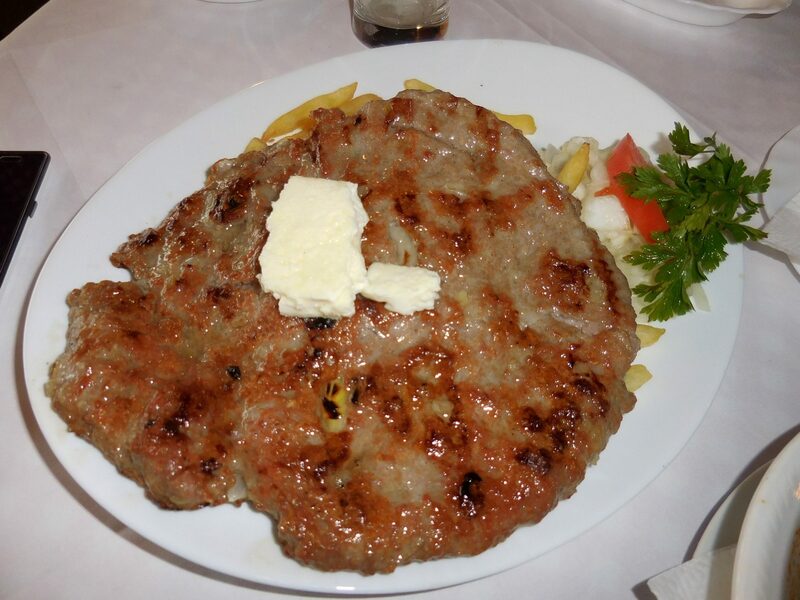 This one came with a side dish of French fries and coarsely chopped onions and was generously topped with kajmak. I always strive to try the local beer when I am in a foreign country. This one is called Jelen and is a light lager. Jelen means deer in Serbian. 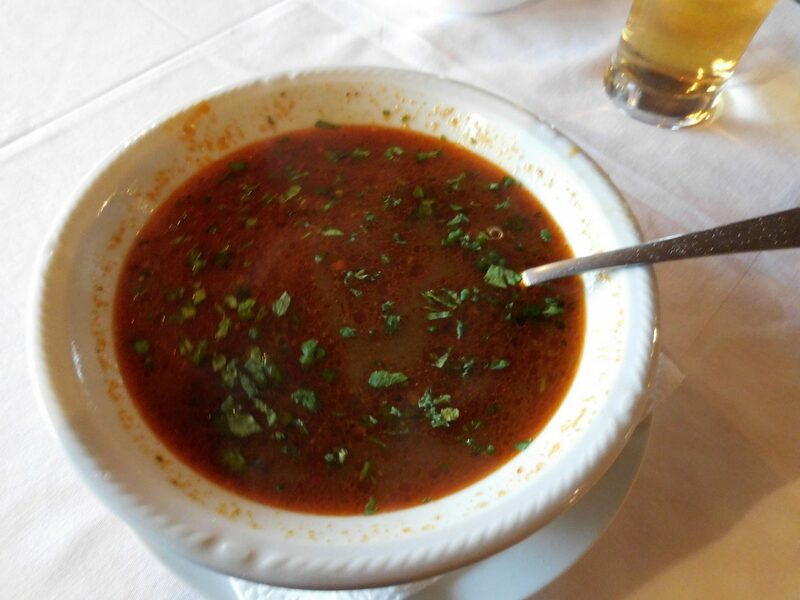 Fish soup with an abundant amount of parsley. The well-known pljeskavica. The menu said it was 350-400 grams, which, obviously, is a big understatement. Delectable! 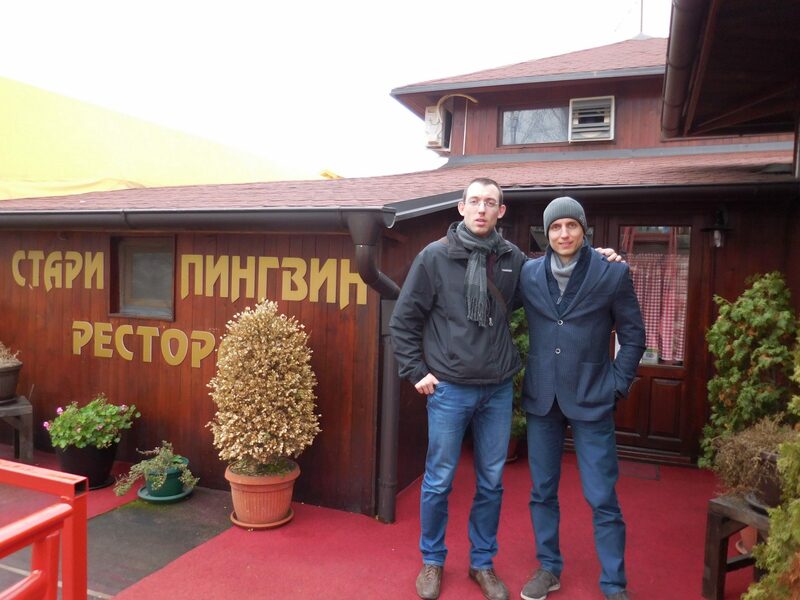 Svet and Aleks in front of the “Стари Пингвин”. The afternoon was designated for a museum tour and our choice is the Tesla Museum. Its location is in the centre of Belgrade. The Nikola Tesla Archive is part of the UNESCO’s Memory of the World Programme Register because of its crucial role in regards to the history of the electrification of the world and the future technological developments in this area. 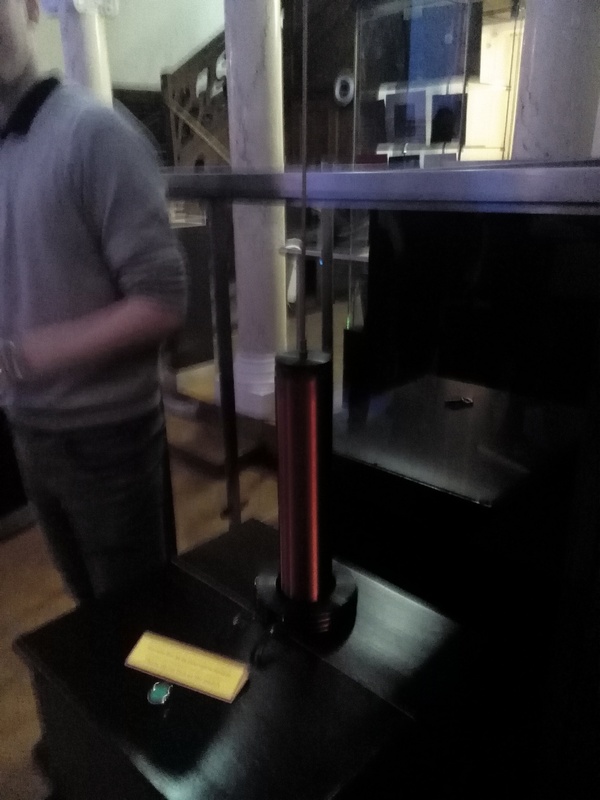 After an interesting video about Tesla and his experiments, the guy, who speaks flawless English, asked us some questions and after that, we were taken to the Tesla Coil. 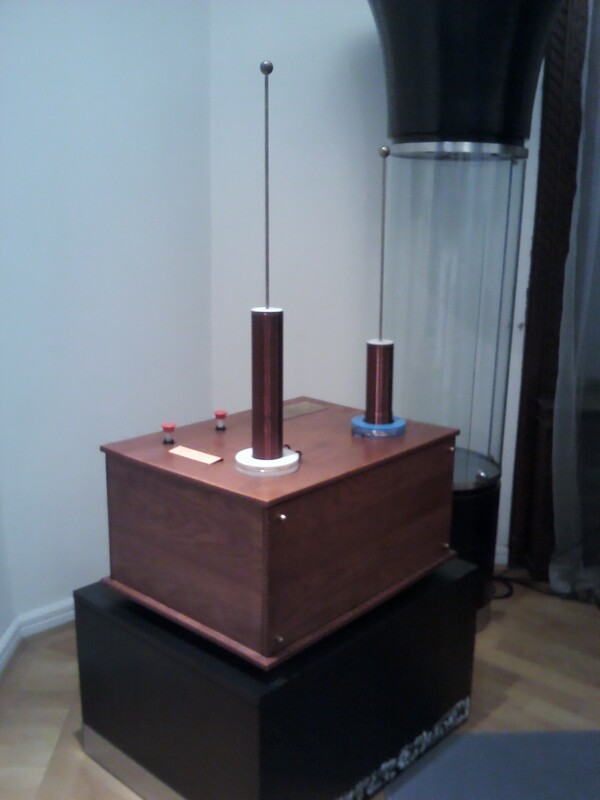 The device was invented by Nikola Tesla around 1891. It produces a high voltage (500kV), a high frequency alternated voltage, and a low current. We were shown how it accumulates power and two dudes of our group held lamps (like “lightsabres”) in their hands which were lighted as a result. You can see that in the video below my camera zoomed in automatically because of the high voltage produced in the room. Afterwards, we moved to the telecommand and some of our group (including me) got hit by 100kV of electricity. The further you move your hand from the telecommand, the more painful it became, but at close distance, it feels like pinching. The last part of the tour showed us some documents, history, and we also saw the urn holding Tesla’s ashes. The big coil which accumulates 500,000 volts. The telecommand which pinched me with 100,000 volts. This is a better photo of a (different) telecommand. The small sphere on top produces the electricity. *The price of a ticket is 500 RSD (Serbian dinars) or around 4½ USD. The tour starts every hour and takes approximately 45-50 minutes, including the video. The museum is closed on Mondays. After the tour, we strolled around the city centre. Unfortunately, my camera’s battery was slowly dying so I managed to take only a few photos. Due to the fact that the trip was improvised, I had not read about any of the sights I took pictures of, but I managed, thanks to a friend of mine (hvala, Gabriela) and Google, to find information about all of them. House of the National Assembly of Serbia – Дом Народне Скупштине/Dom Narodne Skupštine. A magnificent view of the Brankov most. After a couple of hundred ml of Serbian plum rakija (šljivovica) with propolis on the previous night, we woke up around 10:30, got our stuff out of Milan’s apartment, and went to pick up our two other friends who were supposed to arrive at the airport around noon. 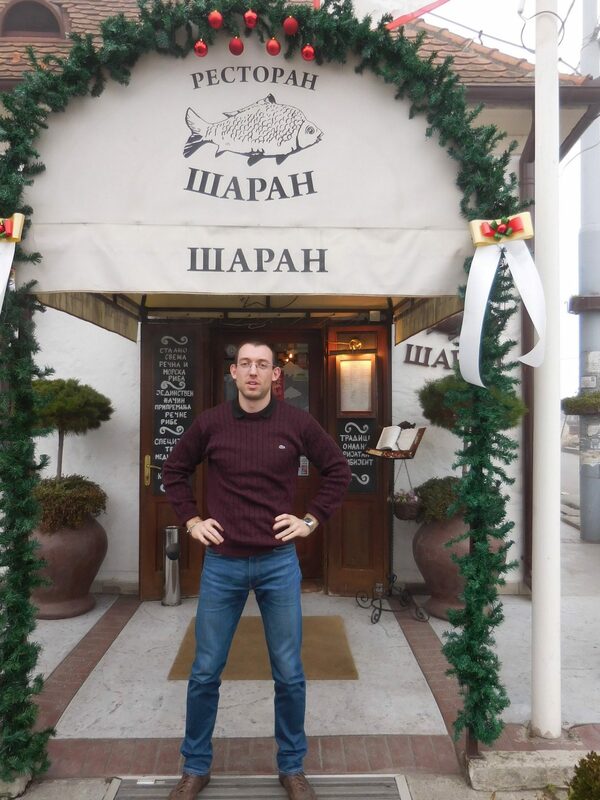 15 minutes delays, some happy hugging, and we were back in the minivan on our way to visit the most famous fish restaurant in Serbia – Ресторан „Шаран“ (“Carp” Restaurant) situated not more than 20 metres away from the Danube river. 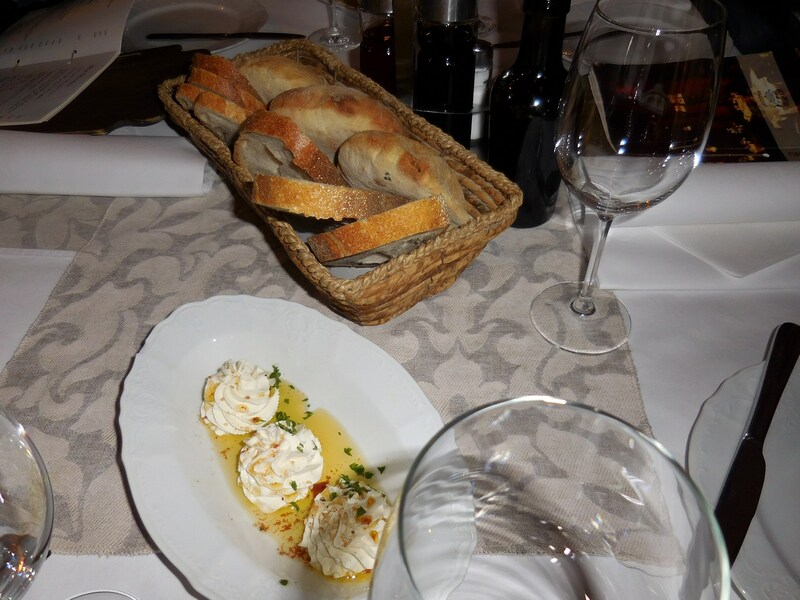 As soon as we entered, two big bowls of fish soup were ordered and while waiting, we were given home-made bread and caviar spreads. 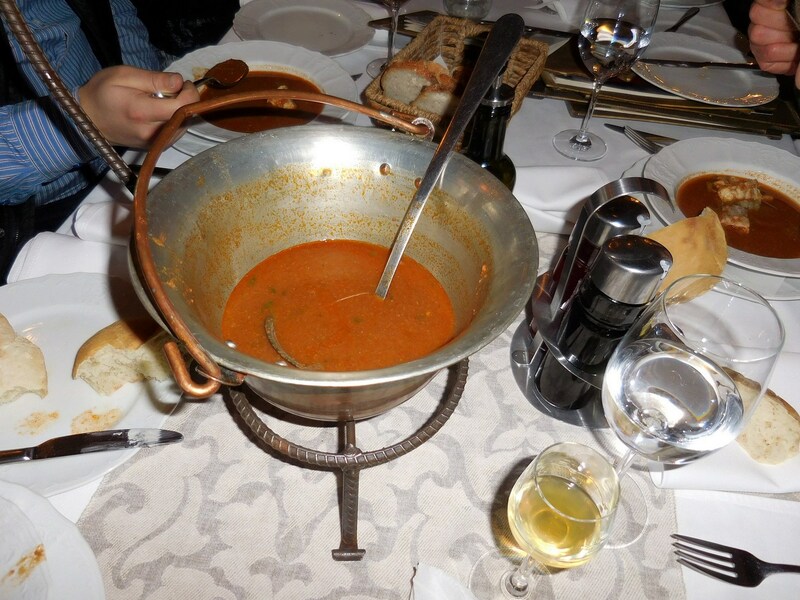 Saying that the soup was delectable would be an understatement. I filled my bowl three times and accompanied it with copious amounts of bread. 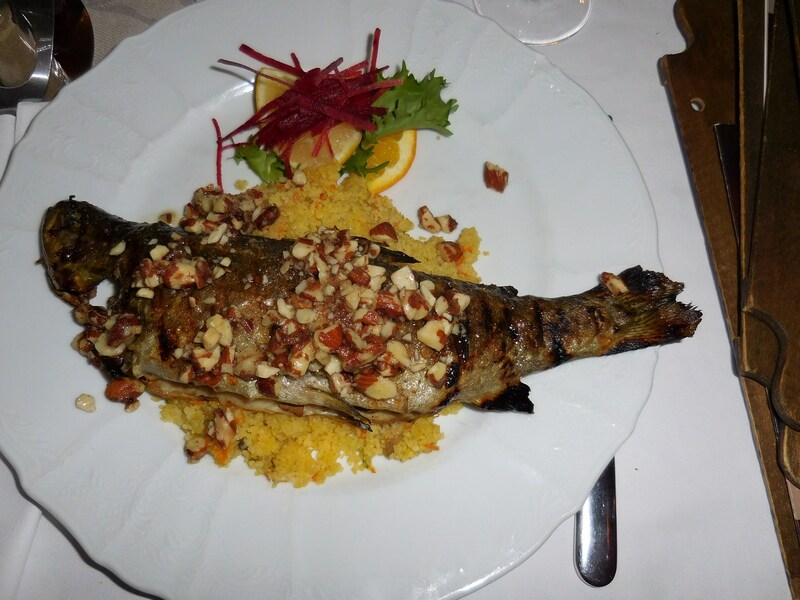 Some of our group were even more courageous and ordered fish dishes. The soup was thick since there were a lot of fish crumbs inside. Carp stuffed with peppers and generously sprinkled with walnuts. Svet in front of the Šaran restaurant. 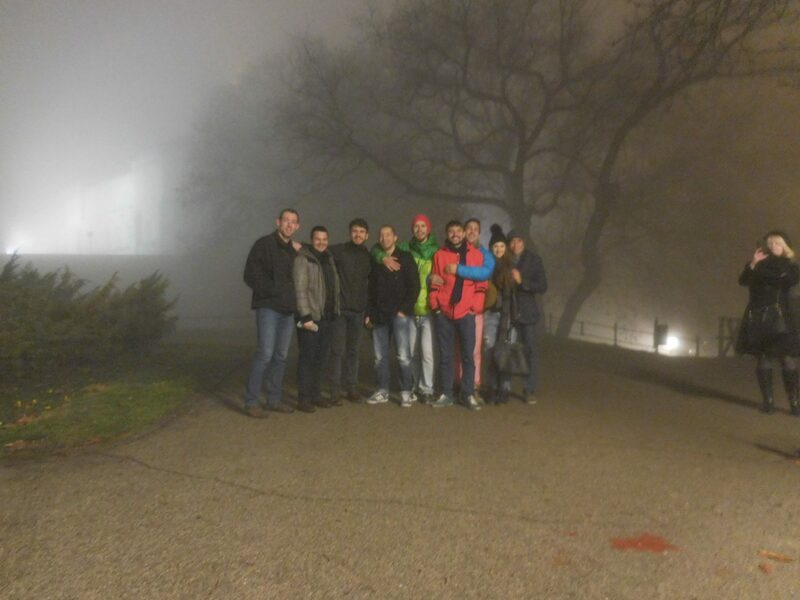 After heavily stuffing ourselves with fish delicacies, we went to Kalemegdan Park which stands at the confluence of the Sava and the Danube in the urban area of Belgrade, in its Stari Grad (Old Town) municipality. Heavy fog was all over the place, but my camera was able to capture some nice, blurry images. On our way out we got in the minivan and headed back to Sofia. Beograd is an amazing city which has so much more to offer and I cannot wait to go there again, indulge into mouth-watering rakija and explore more of its historical sights. Have you been to Belgrade before? Which places would you recommend visiting? The St Mark’s Church looks amazing! And the food… oh, the food is something to die for! Haha, yes, the food is really to die for! I cannot wait to go back and try more or even the same. It was more than delicious! And I hope to see more great sights! This looks great! I would love to get to Belgrade one day:) The food must be amazing! We were in Razlog for a week so Belgrade was much farther away. We only got as far as Nis, had a hard time looking for some sights because our taxi driver did not have a GPS! It was frustrating! Oh, you were in Bulgaria! You should have called 😛 Did you like the Pirin mountains? Yeah, although Serbia is very nice, I believe Bulgaria is more tourist-oriented. 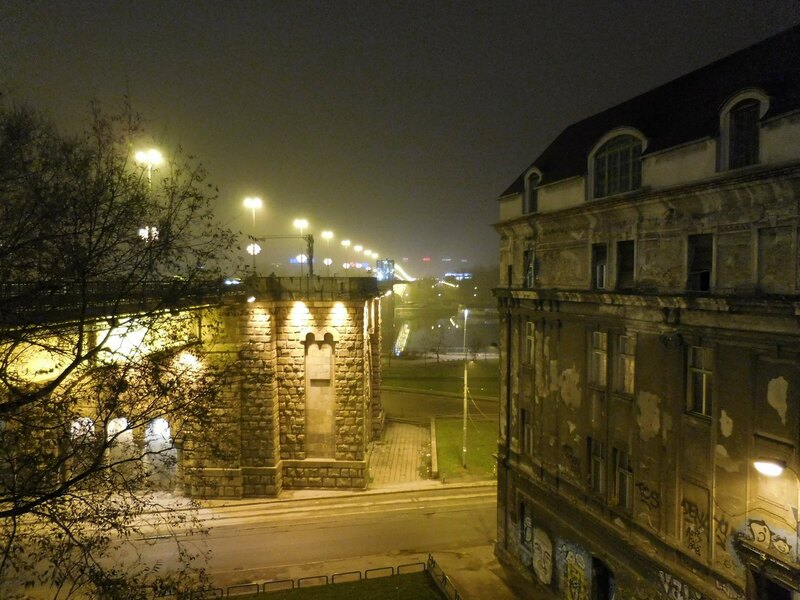 Do you think Belgrade is a decent tourist destination? I know very little about the place but I am guessing most western tourists would find it difficult there. DO they speak much English? 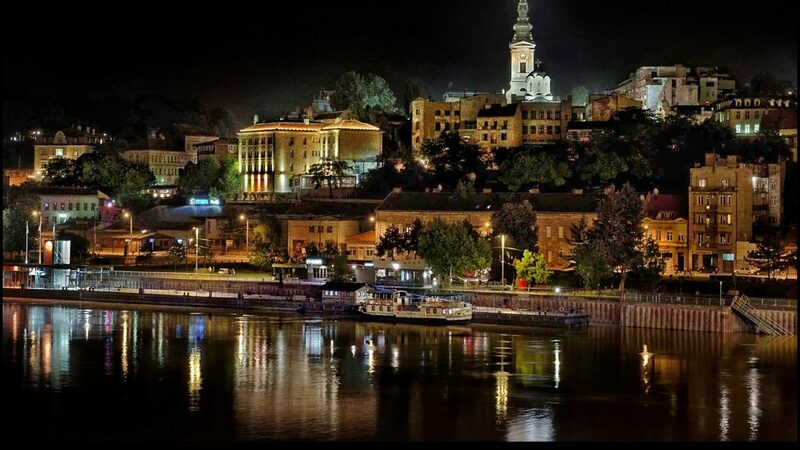 Belgrade is a great place situated on two big rivers and offers amazing places to eat and visit. Bulgarians and Serbians can speak in their own languages and perfectly understand each other, so I did not need any English, but they speak it fluently. 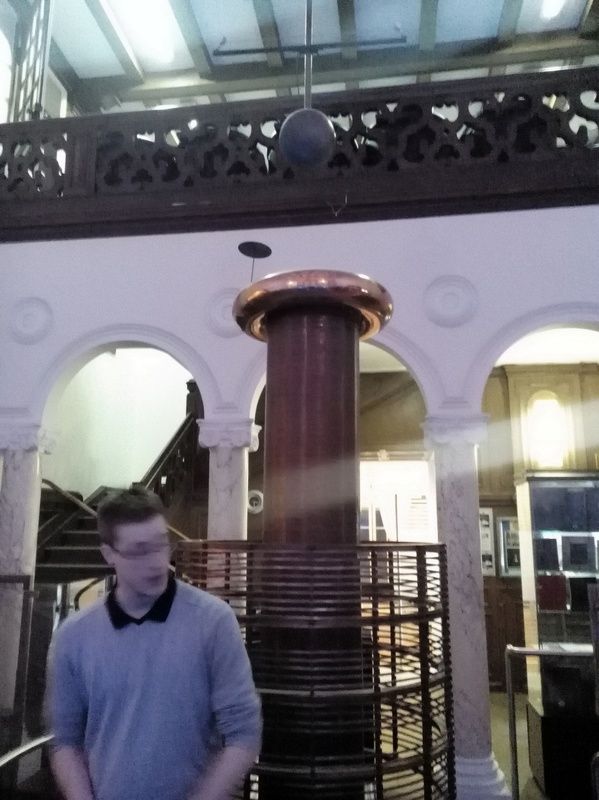 Especially, as I have pointed out, the guy at Tesla museum – his English was almost flawless. Eastern Europe is not so popular on the tourist maps, but it is steadily gaining more and more ground and it will overcome many other Western destinations, because it has so much to offer – history, food, scenery – and all at cheap to reasonable prices! I haven’t been to Begrade yet but it looks like it is worth a visit. The House of the National Assembly looks so nice with all the lights. I have a friend who also likes to try local beers in all of her travel. I learned about Tesla few years ago, like the fact that he is more badass than Edison. The Tesla Museum sounds interesting., I’m afraid of getting electrocuted actually, even if it’s just a pinch, but I wouldn’t want to miss a visit on this museum when I get a chance to go to Serbia. Trying the food and, especially, drinks (beer, wine, spirits) is one of the best ways to merge with locals, in my humble opinion. I was not very aware of Tesla’s contributions to the world, but now I have so much respect for him and his deeds. You cannot get electrocuted. It is impossible – and thanks to Tesla again. Do visit the museum – it has so much interesting things to offer! 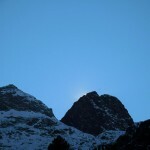 Great to finally read one of your blogs! How was that deer beer? I’m definitely a big fan of trying local brews as well any time there’s an opportunity. The food does sound amazing! 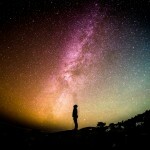 I would love to go and experience that…it’s surely an interesting place! I would just love to try all of that exotic food! And that pljeskavica looks soooooo tasty! It’s HUGE! Love the church! And it looks like a fun city in general. Never really considered going here really, but it looks good! 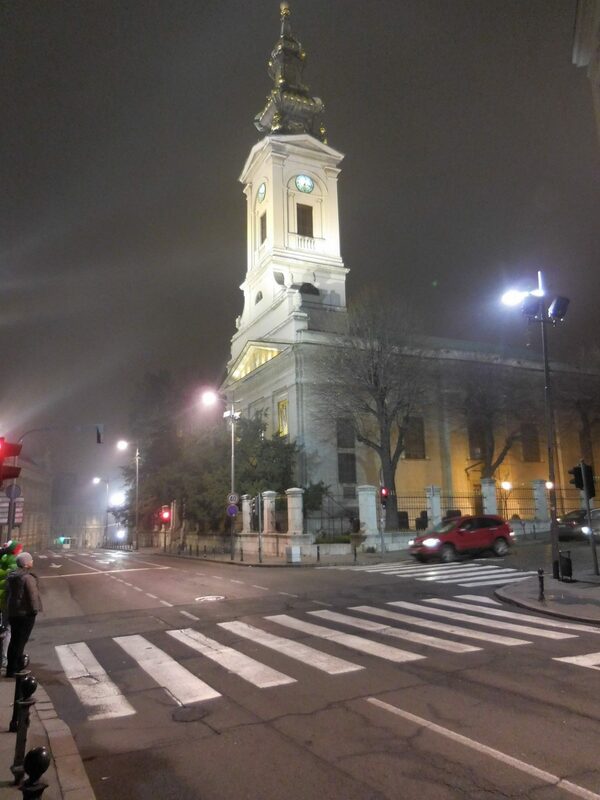 There are so many other great churches in Belgrade and I hope I will visit them in the future. It was not the cosiest of weathers, but I am sure the confluence of the two rivers on a bright day looks amazing! Add it, but bear in mind Serbia are not (yet) part of the EU :)) The park is really fascinating, but it was foggy so no vista ..
We should be heading to Belgrade this year and it is one of the cities we are most looking forward to visiting as we love that Eastern bloc feel. Yes, they are! The big one was not for trying, he-he. Visited Belgrade last year and loved it! That photo of the pljeskavica brought some nice memories and made my stomach produce strange noises :)) I also love the pastries in Serbia, never had anything better anywhere in the world. 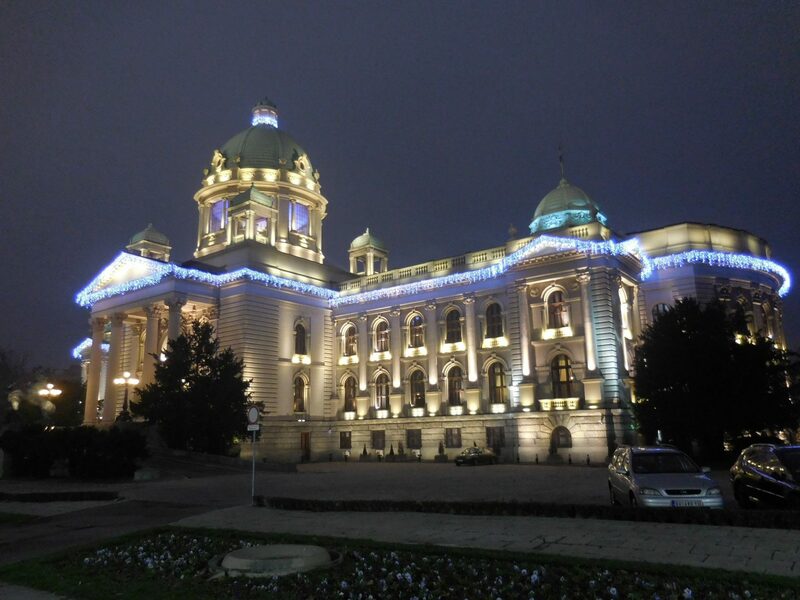 Plus, there are quite a few things to see in Belgrade and it’s really cheap! Yes, Belgrade is fabulous. I have to explore so much more. Just reminding myself of the pljeskavica makes me want to go there again 😀 I have tried some nice Serbian pastries in Bulgaria, but I am sure there are so many more to be tasted. It is quite cheap and so interesting a place!